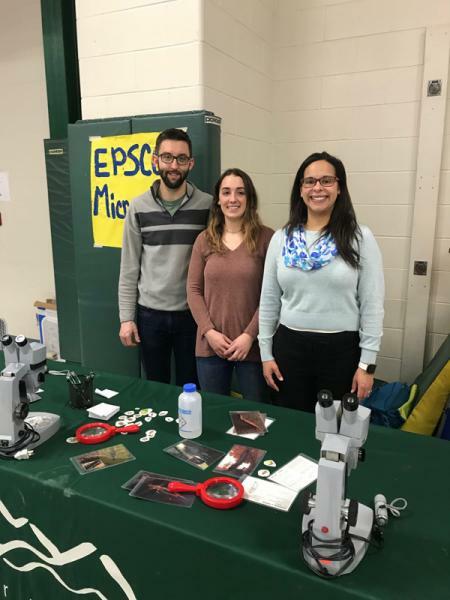 BREE postdoctoral associate Dr. Dustin Kincaid, BREE graduate research assistant Brittany Lancellotti, and CWDD Coordinator Dr. Veronica Sosa-Gonzalez introduced students at JJ Flynn Elementary School in Burlington, VT to stream research on March 25, 2019. 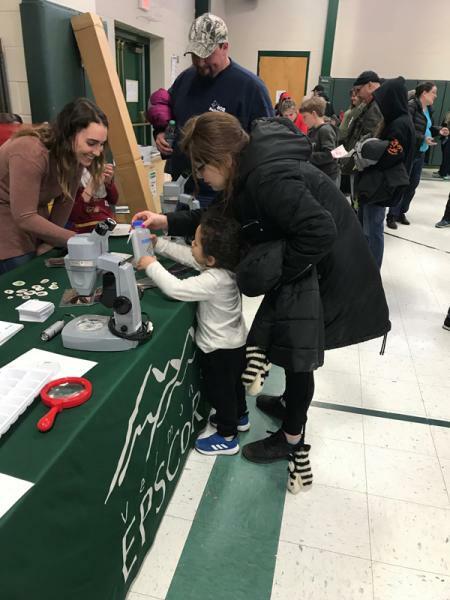 They brought microscopes, magnifying glasses, and macroinvertebrate species for students to examine at the JJ Flynn Elementary School Maker's Faire for grades 1 through 5. 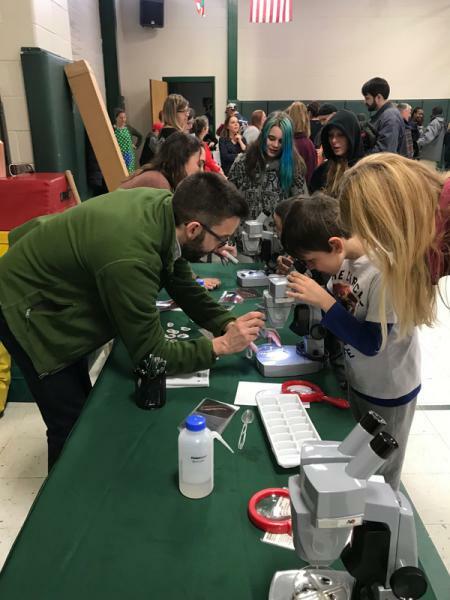 Dustin and Brittany assisted approximately 35 students with the use of a microscope to identify stream insects. 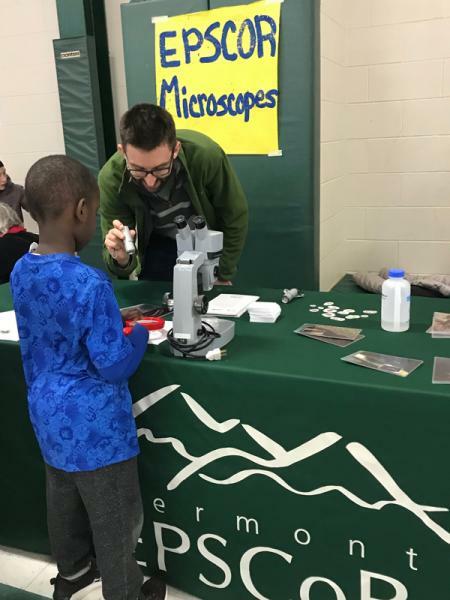 They also demonstrated the use of a magnifying glass to identify larger stream insects. 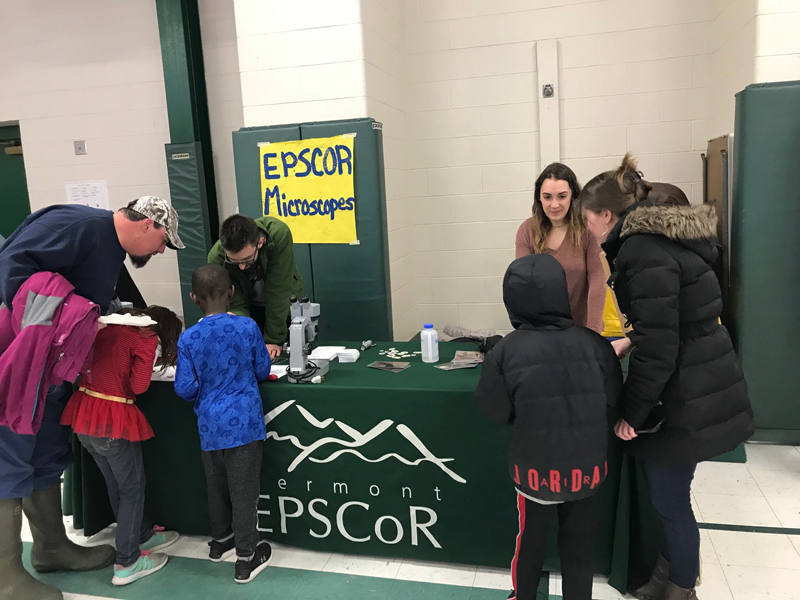 In addition to an introduction to using a microscope to identify macroinvertebrate species, students learned about the importance of insects to stream health.